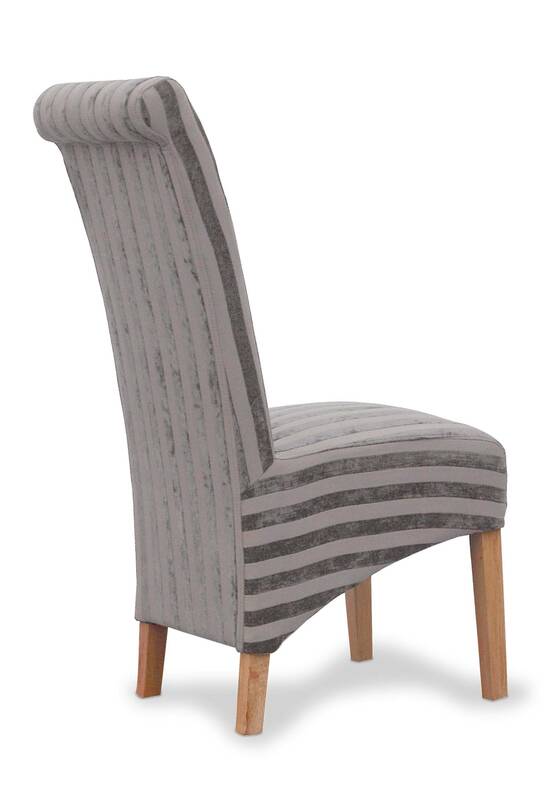 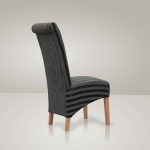 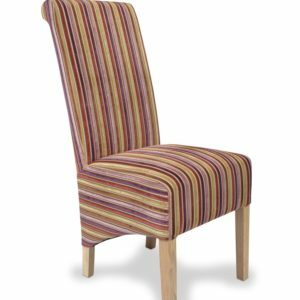 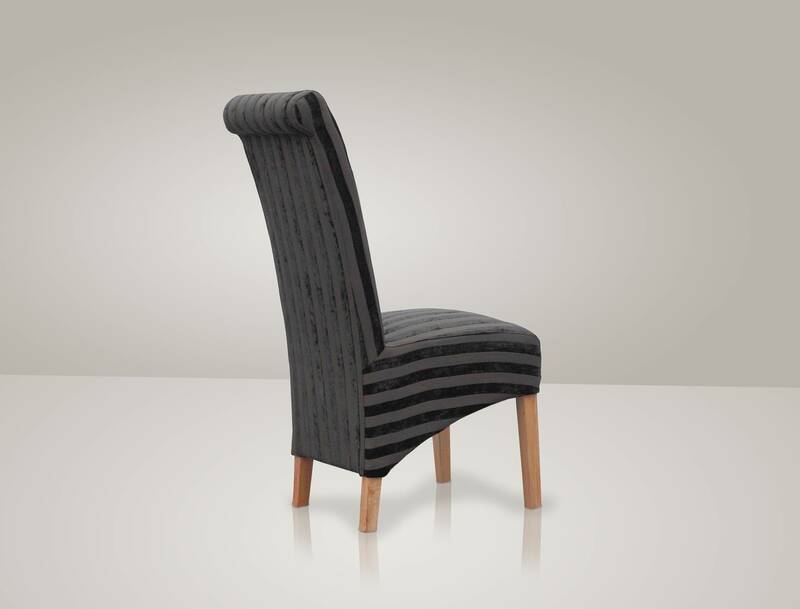 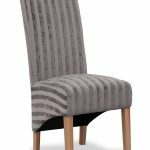 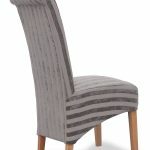 A stylish dining chair with sumptuous upholstery in a fashionable vintage silky stripe. 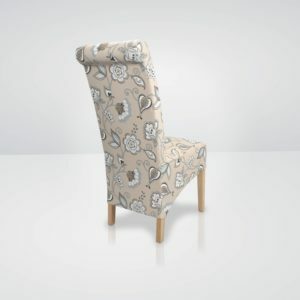 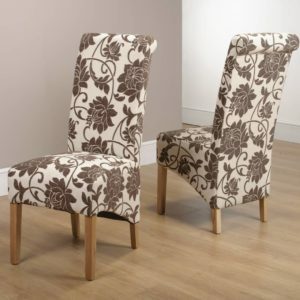 This roll back dining chair combines style with comfort, and comes in a choice of two beautiful colours, making it an elegant addition to any room. 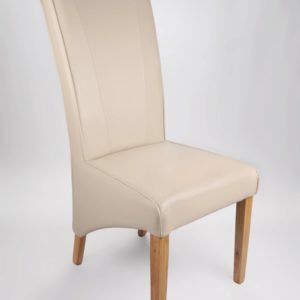 Each chair has a belted seat area for additional comfort and to retain bounce and shape. 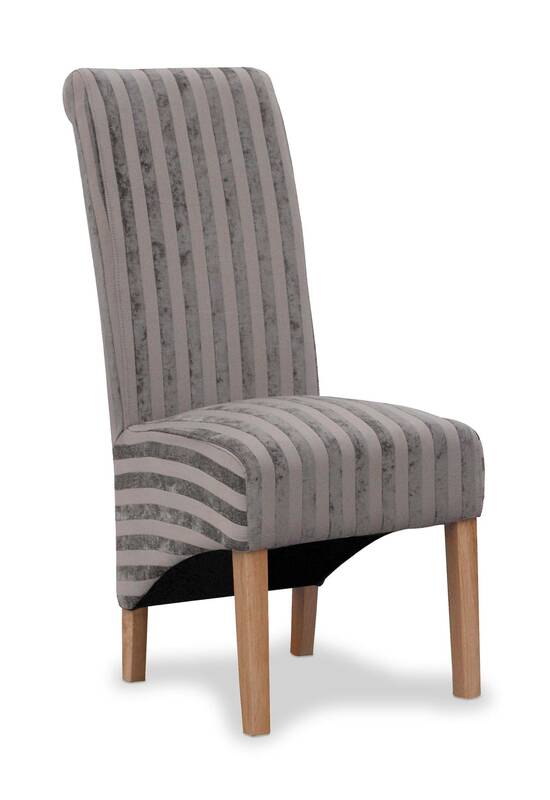 The Krista Velvet Stripe has solid oak legs and is sold in pairs.